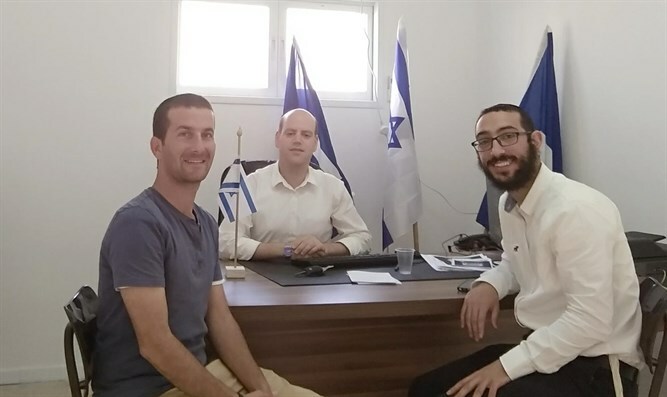 For the first time, a list uniting secular, haredi, and national religious will run for Bnei Brak city council. For the first time, a “Klal Yisrael” party combining haredi, national religious, and secular members is expected to run for city council in the haredi city of Bnei Brak, after years in which United Torah Judaism and Shas divided between themselves the seats on the council. The man who worked to consolidate the list is Yaakov Vidar, the chairman of Likud in Bnei Brak, who has been working for years to help the Zionist minority in the city have a voice. Among others things, he initiated a memorial service for IDF soldiers buried in Bnei Brak and succeeded, together with the members of the list, to prevent the closure of the national religious "Tzvia" Ulpana in Bnei Brak that the city's leaders wanted to close. "In the last Knesset elections, some 10,000 Bnei Brak residents voted for the Zionist parties, and I am sure that everyone will understand the importance and come to vote, because it is us or them." The former deputy minister of education, Udi Tene, a resident of Bnei Brak, who is expected to be second place on the list, said that "This is a holiday on which all the Zionist streams unite together. Black kippah alongside Zionist knitted kippah will work together, with the help of Hashem, in the city council to fight for the needs of the religious-haredi-Israeli-traditional-secular public in the city. This is an exciting union that is expected to spark a revolution awaited in the city for years."